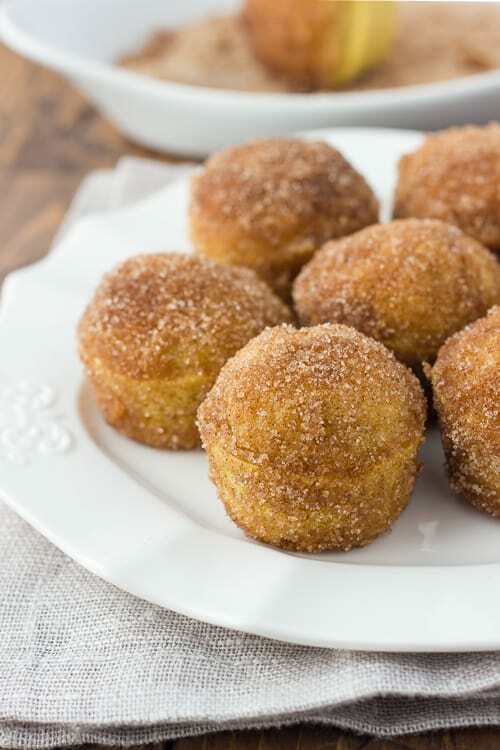 Gluten-Free Cinnamon Sugar Brown Butter Breakfast Puffs! They taste like mini donuts and are so easy to make! 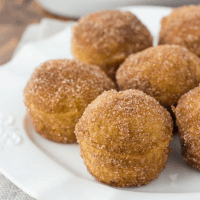 If you eat gluten-free and miss donuts, these delectable little breakfast puffs are for you! They might just be my favorite new breakfast thing ever. They taste like little donuts (but much easier to make than donuts!) rolled in brown butter and cinnamon sugar. Brown butter makes everything exponentially more delicious. 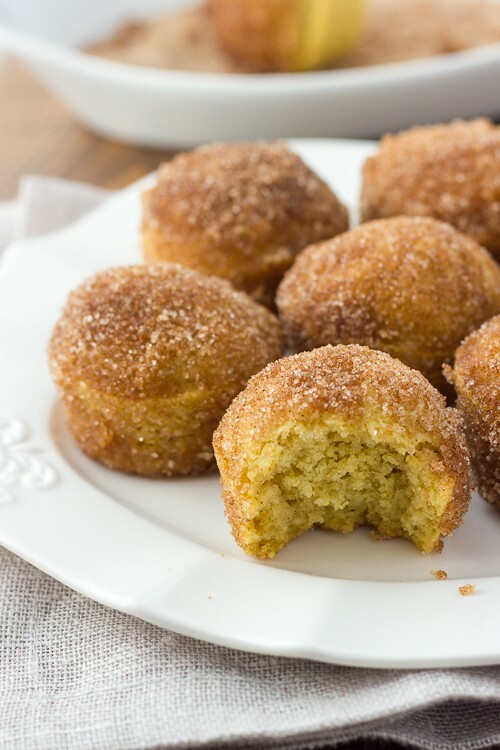 I like making these breakfast puffs in a mini muffin pan so you get more coating and brown butter in every bite. I use brown butter for rolling these breakfast puffs after they’re done baking, but use coconut oil in the puff batter. Coconut oil works well with gluten-free cake-like baked goods because it makes a nice light texture. Butter solids can sometimes make the crumb of gluten-free cakes get gummy. The good news if you have to eat dairy-free, just swap out the browned butter for vegan butter and these are totally dairy-free! My 4-year-old loves helping me roll these in the butter and cinnamon sugar. These are best right out the oven and make the perfect special breakfast treat! I like these best made in a mini muffin pan then completely rolled in the butter/cinnamon sugar. They taste like little donuts! You can also make these in a standard-size muffin pan. These are best eaten warm, right out of the oven. Preheat oven to 350Â°F. Grease a 30-count mini muffin pan (preferred) or a 12-count standard size muffin pan. Prepare coating: In a small saucepan, melt 6 tablespoons butter over medium heat and continue to cook it, stirring frequently, until brown bits form on the bottom and it smells nutty, about 5-7 minutes. Immediately remove from heat and set aside. 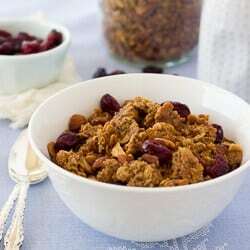 In a small bowl, combine 2/3 cup sugar and the cinnamon. Set aside as well. Make the puffs: In a medium bowl, mix together the baking flour, almond flour, baking powder, baking soda, salt and nutmeg. In the bowl of a stand mixer, combine the eggs and granulated sugar. Mix on medium speedy until foamy, about 2 minutes. With the mixer running on low, slowly pour in the coconut oil and vanilla extract. Add the flour mixture and mix to combine, followed by the almond milk/cider vinegar mixture. Mix to fully combine. Scoop the into prepared muffin cups, filling only 2/3 of the way. Overfilling them will make the puffs spill out of the pan rather than looking like puffs. Bake miniature muffins for 15-17 minutes or standard sized muffins for 22-25 minutes. When finished, muffins will feel springy to the touch and a tester inserted into the center will come out clean. Transfer them in their pan to a wire rack. After the puffs cool for 3-5 minutes, roll them in the brown butter (or dip the top) followed by the cinnamon sugar. Serve immediately. These are best hot, right out of the oven. Enjoy! MAKE IT DAIRY-FREE: Use Earth Balance buttery sticks in place of the butter. Just melt the Earth Balance before dipping. Holy yumminess! These littles guys would go perfect with coffee in the morning!! Hi Erin! these look great as always but I’m wondering what happened to some of your recipes on the blog? The breadsticks and chia dinner rolls are not here for one… 🙁 Will they be back?? These look SO good!! Can’t wait to try them out!! I’m starting that elimination diet that you gave me ages ago so I’ll have to wait a bit but they will definitely be on the list of things to add back in once I can. 🙂 I miss you! Hi cute cousin! Your website is my new favorite thing as I’m trying out a gluten free diet! 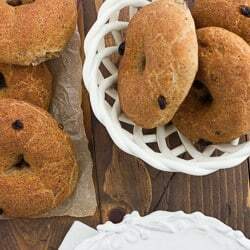 Can I use coconut milk instead of almond milk in these breakfast puffs or will that mess them up? Hi Heather! So glad you’re here! When it comes to coconut milk boxed coconut milk (like the refrigerated kind similar to almond milk) and canned coconut milk are very different. You can use the boxed coconut milk that is similar to almond milk here just fine. I wouldn’t use canned coconut milk because it has a much higher fat content and is not as liquidy. Let me know if you have any more questions!